The P469 Vessel sink is the newest addition to the Polaris line of bronze sinks, and is perhaps its most distinctive. 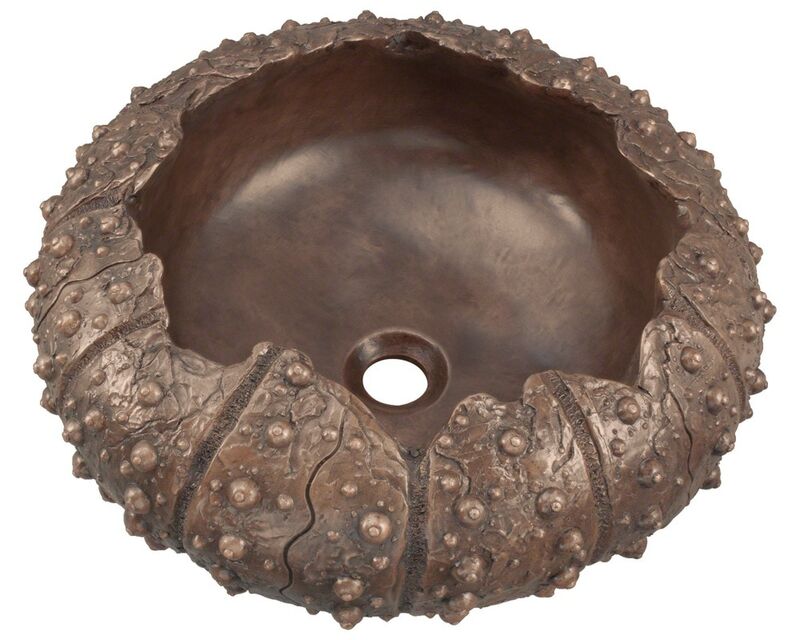 Modeled after the mysterious sea urchin, this pure bronze bowl will add a deep-sea allure to any bath. Its one-piece construction means this sink will last, and its classic antique patina means any minor scratches that could occur over time will be disguised. The P469 model has an 18'' diameter and a depth of 8'' with a centered drain. As always, our bronze sinks are covered under a limited lifetime warranty for as long as you own the sink.